The tumblr seems to get a lot of attention these days, so I've been thinking about shining a little light on our other forms of social media which you no doubt know exist. Welcome to the Facebook and Twitter: peruse them at your absolute leisure via the links above. Any questions? Feel free to ask. Though I (Skarsgård, now Ehres) no longer maintain the tumblr (many thanks to the lovely site staff for doing so), I'll do my best in helping you with your quips and qualms. yes! ive been waiting for this!! I also have a personal really great tumblr myself right here so do feel free to follow as well. AKA CLICK MY ADS BISHES! Will you be posting original content on KHI's Tumblr? Like KHI-made gifs, avatars, tags, and etc? Will you also be activating the submit option? kidding :3 it looks great~ cue fangirls! Followed! Will it be KH only or will there be some Final Fantasy? Oh and you get a list of all the members who have a tumblr and put them in an affiliates sections. Juet saying. ANYONE ABLE TO TELL ME WHO MADE THE THEME? Just followed! 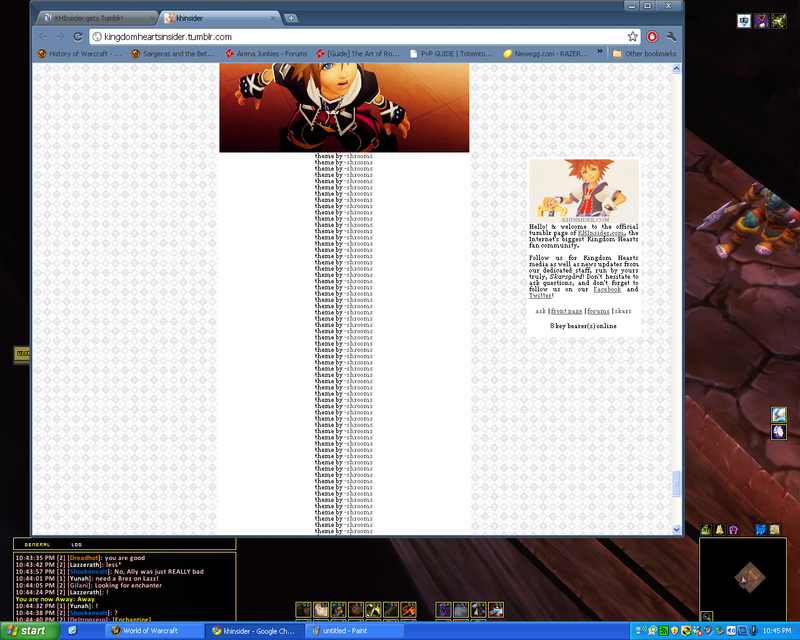 I seem to have an obsession with KH blogs; I even made one of my own. Ooh, this is exciting! I followed, and I'm loving it already. Great job so far!